Mexico is located on the North American tectonic plate, but there are sections of the Baja California Peninsula that are located on the Cocos and Pacific plates. The most active volcanoes in the country are Colima, Paricutin, Popocatepetl and El Chichon. A visit to any one of these areas is a unique experience. This volcano is situated on the Isla San Benedicto, which is the third largest of the four Islas Revillagigedo. It can be found around 220 nautical miles from Cabo San Lucas. The first recorded eruption was during 1952. This event commenced on August 1, 1952, when a sudden emission of a white plume occurred. A few minutes thereafter, grey to black ash was blasted out. The plume of the eruption reached around 10000 feet in height, which eventually resulted in the formation of a cone, extending the shoreline. The most interesting feature of the Barcena volcano eruption was the base surge. The horizontal surge increased faster than the vertical rise and this was similar to a bomb explosion. During September 1952, a dome was formed within the crater and by November, the crater was half-full of lava. During December, the lava broke through the bottom part of the cone and entered the sea, thereby forming Delta Lavico. This eruption eventually subsided during March 1953. Ceboruco can be visited in western Mexico. It is a major volcano situated at the western site of the Mexican Volcanic Belt, which is located close to the junction between the Pacific and North American plates. The volcano was formed from several lavas and rocks, with three central cinder cones and two calderas formed during major eruptions. The volcano stands about 1100 meters above a flat floor. The volcano erupted about 1000 years ago, causing the largest eruption within Mexico for 10000 years. This resulted in the production of a caldera four meters in width. Ceborucco commenced with an eruption on February 20, 1870, which ended on March 28, 1875. This eruption produced ash emissions of up to 15 kilometers in altitude, with a 7.7 kilometer long lava flow. Colima is the most active andesitic volcano within Mexico. The group consists of an inactive cone on the summit in the north and an active cone in the south. This volcano has remained active for around five million years. It has seen a range of eruptions from its crater. It is possibly one of the most dangerous craters in the world as around 300000 people reside within 40 kilometers of the volcano. The volcano erupted during 1576 and again during January of 1585. During the latter eruption, strong seismic activity was reported, with reports stating that the sun was totally blocked by the eruption. Ash was blown across the area for about 220 kilometers. Many livestock died from the covering of ash on the fields. Colima experienced eruptions during 1590, 1606, 1611, 1622, 1690, 1711, 1769, and 1794, and during 1818, it experienced a major eruption. During 1869, the first documented lava flow occurred at the volcano. The volcano once again erupted during 1913, 1961/62 and 1975. During 1981/82, a new lava dome was formed in the eastern section of the summit crater. There were continued eruptions during 1987, 1991 and during 1994, the eruption caused the destruction of the crater dome formed during 1991 and this resulted in ash fall and avalanches. This particular eruption created a crater around 140 meters wide and about 50 meters deep. The eruptions continued during 1998/99, 2002/03 and 2005, when the 2003 dome was destroyed and a new crater was created. There were eruptions during 2007/08 and an increase in the volume of lava has been observed in the crater. Popocatepetl is a large volcano, which is partly covered by a glacier. It can be found about 60 kilometers southeast of Mexico City. This volcano is the third most active within the Northern Hemisphere, thus presenting a huge problem to Mexico City and other nearby towns and cities. Popocatepetl first erupted around 17000 years ago. This produced the deposits that covered the region not included in Mexico City. There were small eruptions during the period from 1500 to 1990, when small domes were formed inside the summit crater. Each of these eruptions lasted for a number of years, with no casualties or damage reported. After remaining dormant for seven decades, eruptions once again started on December 21, 1994. Ash columns of two kilometers above the opening forced the evacuation of around 25000 people. These eruptions terminated during August 1995. There was an eruption on January 5 2008, with ash reaching 24000 feet. During January 2009, flows from the volcano resulted in melting of glaciers. At this time, around 41000 were evacuated from the area, as a safety precaution. During May 2012, a volcanic tremor was felt at Popocatepetl and lava shot 800 meters into the air from the crater. 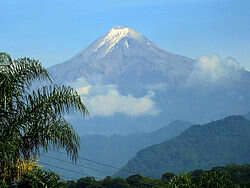 Pico de Orizaba is the highest mountain within Mexico. This particular volcano is situated on a very important fault zone which separates the Altiplano from the coastal plains of the Mexico Gulf. 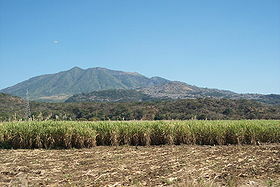 It is the only volcano in the area with a history of activity. The eruptions that occur at Pico de Orizaba consist of lava flows and explosions. 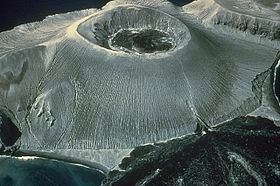 This volcano has had a range of eruptions going back 12900 years, with the last being during 1687. The volcano experiences periodic eruptions, which occur at intervals of 1000 to 2000 years. El Chichon is the youngest volcano located in the northwestern region of the Chiapanecan volcanic arc. It has had a minimum of 12 major eruptions over the past 8000 years. The eruptions generally occur at 300-year intervals on average and ranges from 100 years to 600 years. The larger cities around the volcano are Villahermosa and Tuxtla Gutierrez. El Chicon erupted on 28 March 1982 and it lasted six hours. The altitude of the eruption column reached 20 kilometers. Five days later there was a second eruption, which lasted for around four and a half hours. After the surges, the eruption column reached an altitude of about 24 kilometers. This was the most active stage of the eruption. The next day, there was another eruption, which lasted for about seven hours. After this series of eruptions, a crater lake, measuring around one kilometer in width, was formed. The lake was formed during the rainy season and has a depth of around one to three meters. 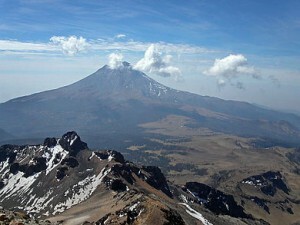 There are several other large and small volcanoes within Mexico. For those who have an interest in volcanoes, it is an exciting country to visit. If you intend visiting these volcanoes or going to Mexico when there is an eruption, you should ensure that before you leave home, you have valid Mexican car insurance in your bag. This will ensure that should you be involved in a vehicle accident on the way to the volcano, you will not be held up and prevented from witnessing an eruption. Mexican car insurance is a legal obligation if you intend traveling on the roads in the country. You can very easily obtain it online or at the border post. You can purchase your Mexican insurance policy online via this MexInsuranceStore link. 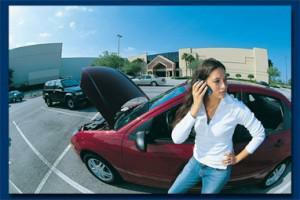 Purchasing Mexican auto insurance at the border comes with a host of complications. The first is that you will have to stand in the usual long queues at the border to buy your policy. The other is that due to the pressure of the long queues, you will not have the time to consider all the available options, if you are offered any options at all. It is also usually more expensive to buy your policy at the border. If you go online to buy Mexican auto insurance, you should make sure that you purchase from a licensed insurance provider. Once you have your final decision on the type of policy you want and the extras you wish to add, you can easily pay for it online and print a couple of copies. It is a good idea to email the policy to yourself as this will allow you to reprint a copy should the need arise, and you have mislaid your printed copy. Enjoy winter days in Mexico with your Mexico auto insurance. Your insurance covers useful protection that may come in handy while taking a vacation. You can’t have peace of mind when you overlook your most important purchase. Don’t cease driving at the border just to wait one hour to buy your Mexican Auto Insurance. Many of the last-minute policies don’t have good options. Even agents may include other unwanted fees. 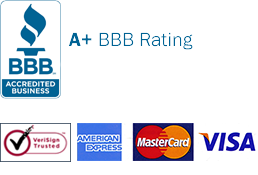 Conversely, purchasing online makes the perfect place car insurance buying. If you choose a car insurance company, it should be approved in Mexico but come from the US. They know the best about everything that concerns Mexican auto insurance. Tulum accommodation is expensive but if you have only a small budget, here’s one tip that I can give: stay in town, it’s a lot cheaper. To get the best Mexican insurance price, simply get at least 4 quotes and compare their coverage and price. The benefit of this is long-term and getting insured take only take a few minutes. Mexico insurance includes towing assistance and emergent solutions in case you experience a breakdown on your way to Mexico.